Fiscal Cliff Dive To Spoil Christmas Break For Markets? Here’s the rundown of likely market movers this week, their likely impact, and some thoughts on what to do, and on the one thing you must do. Given the widespread consensus that there would be a deal deferring most of the potential government spending cuts and tax increases, and that most global stock indexes remain within 10% of their decade highs, it’s safe to say that markets have not priced in a failure to reach a deal. Any asset that has a lot of investors sitting on long term capital gains. Those investors will be tempted to take profits at this year’s lower rates. For example, Apple computer comprises over 10% of the Nasdaq’s value and about 3.8% of the S&P 500’s value. The stock has soared in recent years, so the fiscal cliff’s threatened higher rates could provoke more selling that will hit these indexes hard, and thus also smack the prices of other stocks and risk assets, most of which are heavily correlated to these indexes. Any asset that is especially sensitive to government spending cuts: For example, defense companies or other firms for whom Washington is the primary customer. By itself, this coming Friday’s “quadruple witching” day, when contracts for stock options, single stock futures, stock index options and stock index futures all expire, could create added market volatility. With so many traders heading off or gone for Christmas vacations, the reduced liquidity could compound that volatility. Given the ongoing deterioration in both economic data and earnings, firm technical resistance in place for most risk assets, the likelihood is that the volatility amplifies a pullback rather than a rally (barring a bullish surprise like a fiscal cliff deal that defers most of the threatened austerity measures). As noted in our prior post here, the overall technical picture suggests that most risk assets are more prone to sell off than rally. One big term exception for the coming week could be the Euro, because the Fed is already undermining the US dollar through its ongoing stimulus programs, whereas the ECB has yet to start its rough equivalent, the OMT program. These are expected to yield an LDP victory, which in turn is expected to bring looser monetary policy and more government spending. If the polls have been correct, that’s good for risk assets, and the USDJPY, which could rally to around 85. An upside surprise could give the already rallying EUR a boost past near term resistance and open the way for a move towards 1.3300. The coming week brings monthly reports on building permits and existing home sales. As long as the fiscal cliff is the dominant concern, even stellar results may not help risk appetite. However this sector has been improving, and is considered a key part of the US recovery. If it disappoints, that would feed the current overall bearish sentiment. As with housing data, as long as the fiscal cliff uncertainty weighs on markets, these pack mostly downward risk in helping feed a move lower for risk assets if they disappoint. Our bias for the week is Bearish to Neutral. While another tight trading range is possible, with time running out for the kind of low-austerity fiscal cliff resolution, draining liquidity and a quadruple witching Friday, the likelihood of a pullback is getting distinctly higher. For short traders, that means have your short entry points planned out. For longer term investors, that means have your long entry limit orders entered to catch a spike lower. Again, given the longer term bearish market outlook for risk assets, that’s only for funds, you don’t plan on needing in the near term. The big exception to our outlook for risk assets is the EUR, which could continue to rally as long as markets remain more worried about the fiscal cliff than solvency risks in the EU (read: Spain and Italy). See our post here for what last week teaches us about the coming week. Unfortunately, debt crisis brinksmanship is as popular in Madrid and Brussels as it is in Washington. As we warned here, a market drop could accelerate into a plunge because there’s no deal in place on conditions Spain would accept in order to activate aid from the ECB’s OMT program. Spain needs to sell close to 20 bln in bonds in the coming weeks, so if markets get scared and its yields start to soar, even an unresolved fiscal cliff will no longer be the chief focus for markets. The fiscal cliff is a recession threat. Spain is depression threat. The Fed, ECB, and Bank of Japan are all expected to continue policies that will weaken the value of their currencies and anything denominated in them. It’s likely a matter of time before the Bank of England and other central banks follow suite, especially those of nations focused on protecting their export industries, from Switzerland to South Korea. That means that anyone with most of their wealth denominated in these currencies needs to increase exposure to assets denominated in more responsibly managed currencies that are more likely to retain their value. Why Should You Fund Bailouts For Bankers Or Mismanaged Governments? You don’t have to accept your local central bank’s diluted currency and stealth tax. 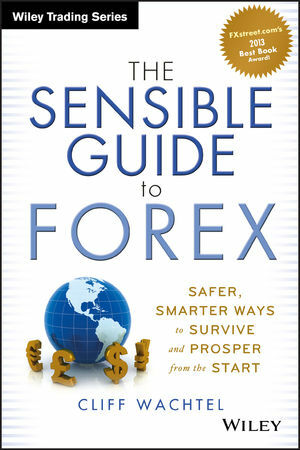 Most forex guides focus on trading styles that are too risky and demanding for most people. Most foreign investing guides focus on the fundamentals of a given recommended asset without giving enough consideration to the currency to which they’re linked. For the most updated collection of simpler, safer solutions to suit a wide range of needs, skill levels, preferences and risk tolerances, see here or here. 6 reasons to be brearish for what? us dollar or the other currencies ? I’m referring to risk assets in general, including risk currencies.